White Rock Christian Academy (WRCA) has a long and rich history on The Semiahmoo Peninsula. Since 1981 WRCA has been molding young people into well-rounded, passionate, creative, Godly citizens. 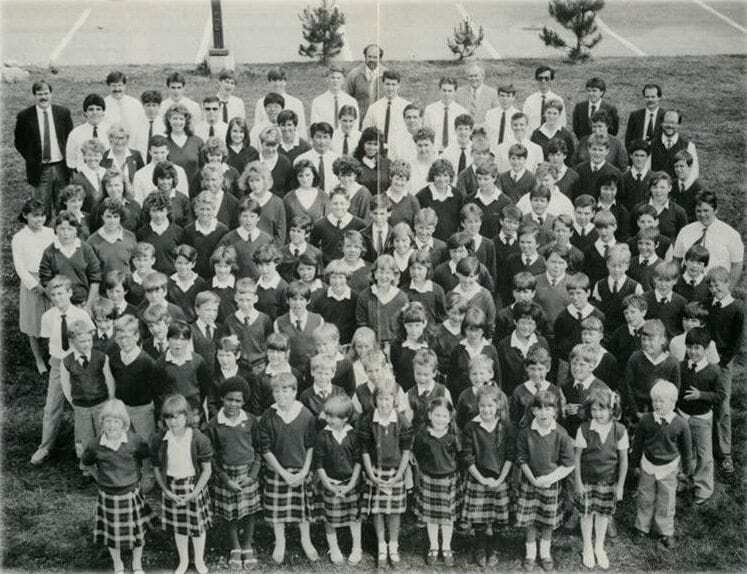 White Rock Christian Academy (WRCA) has a long and rich history on The Semiahmoo Peninsula. Since 1981 WRCA has been molding young people into well-rounded, passionate, creative, Godly citizens. What began as a small, church-based establishment in 1981 has developed over the years into a Ministry of Education certified institute with a quickly growing enrollment of students from Junior Kindergarten all the way to Grade 12. The school was created to fulfill a vision of Pastor Verne Wilson and the elders of White Rock Christian Fellowship for quality Christian education. The students studied using the Accelerated Christian Education (ACE) as its core curriculum, which allowed them to complete work at their own pace. In September of 1990 the curriculum was changed from ACE to a B.C. approved curriculum taught from a distinct Christian perspective. WRCA, with the support of the founding church, remained committed to providing Christian curriculum to their student body of 184 students. The school transitioned and grew over the years and changed from a predominately Church family demographic to a broader community-based Christian school. Academically students were challenged with good solid teaching and were given opportunities to enter various contests to further hone their skills. Grade 11 and 12 students were given leadership roles in Chapel and through Students Council. As WRCA continued to grow, so too did the programs offered. Music became a required subject K-12 to give students a foundation for worship and a lifelong love of music. In the early years, WRCA had top placing’s in concert choir, concert band, and jazz band ensembles. The first WRCA musical was AntsHillvania and it involved performers from K-12. Over the years, the caliber of music and art programs continued to grow. WRCA also began building an admirable athletics department with a strong basketball program for boys and an equally strong volleyball program for girls. Similarly, WRCA students saw success in Cross Country and Track and Field. Our athletes where branded WRCA Warriors. Serving was in the heart of WRCA from inception. 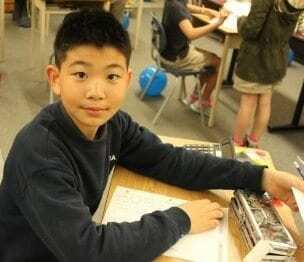 The school established a relationship with Chukyo High School in Japan and began a partnership that saw students from their school come to Canada for 11 months to learn English abroad. In 1991, that partnership began allowing senior students from WRCA to travel to Japan for 10 days to be billeted with families from Chukyo High School. This partnership continues to this day as students from Chukyo continue to come to take part in Canadian culture, and English through our well established program. Looking back on our 35+ year history based on the Semiahmoo Peninsula, we see God’s direction and provision. Looking forward we continue to seek the Lord and trust in His faithfulness as we move into a time of growth and change. The school has now grown to well over 400 students from Junior Kindergarten to Grade 12 and has a staff of 41 certified teachers and 18 support staff. The main building of 40,000 sq. ft. built in 1981 is now at capacity- to house all our students we have added sixteen portable classrooms on the property. We are a category one independent school operated by the White Rock Christian Academy Board of Directors. Currently there are over 30 different churches represented in our student body ranging from a wide variety of denominational backgrounds. At the heart of WRCA today is our core purpose: We inspire and cultivate citizens of Godly character who transform their world for Christ. The program development, curriculum choices, and key decisions instigated by the Board of Directors and Head of School all focus on the core purpose. In addition to the core purpose White Rock Christian Academy holds to a set of core values: We are Christ-centered and glorify God through the pursuit of excellence. We honour passion, creativity, and initiative. We provide a holistic education from a biblical Christian worldview and form resilient and mature followers of Christ. We believe that the best education encompasses a holistic approach- including four key program pillars- academics, athletics, arts, and service- and we are excited that our holistic approach is met through an inclusive International Baccalaureate continuum program. Every student enrolled at White Rock Christian Academy will be taking a transdisciplinary approach to learning- fostered through various lines of inquiry implemented at all levels of learning. We are privileged to have had a solid foundation in all our program areas to build on as we move forward in offering a quality Christian education for students today. We are in an exciting time of growth and advancement as a school. We have invested in administration, and our leadership team includes the Head of School, and two Academic Principals- one for the Junior School and the other for our Senior School. Together, they provide the necessary oversight to manage growth and maintain a quality holistic education for our students. We are excitedly planning for a new building with state-of-the-art facilities to compliment our programs. WRCA is planning to expand to accommodate over 600 students with two classes per grade, and plans are in place to begin phase one of a three phase project. Phase one consists of classroom blocks, two music rooms and two art rooms for both Junior and Senior School students. Construction for the new building begins in 2017 and the first phase projected to open in 2018. 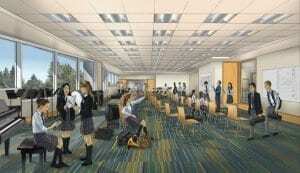 Phases two and three will see two new gymnasiums, an auditorium, cafeteria, and administrative offices. Throughout the history of our school, we continue to honour and glorify God through the pursuit of excellence. As a school, our story continues, and we are excited for our students; an education at White Rock Christian Academy is an active, enriching experience. It includes academic concepts, biblical truths, and intangible dynamics that combine to shape both the minds and character of our students. At our school, children discover who God is and who they are in Christ, and actively engage in His creation. This is where students think, create and become.